But you don’t have to be an American for All-Clad to steal your heart (or your kitchen). 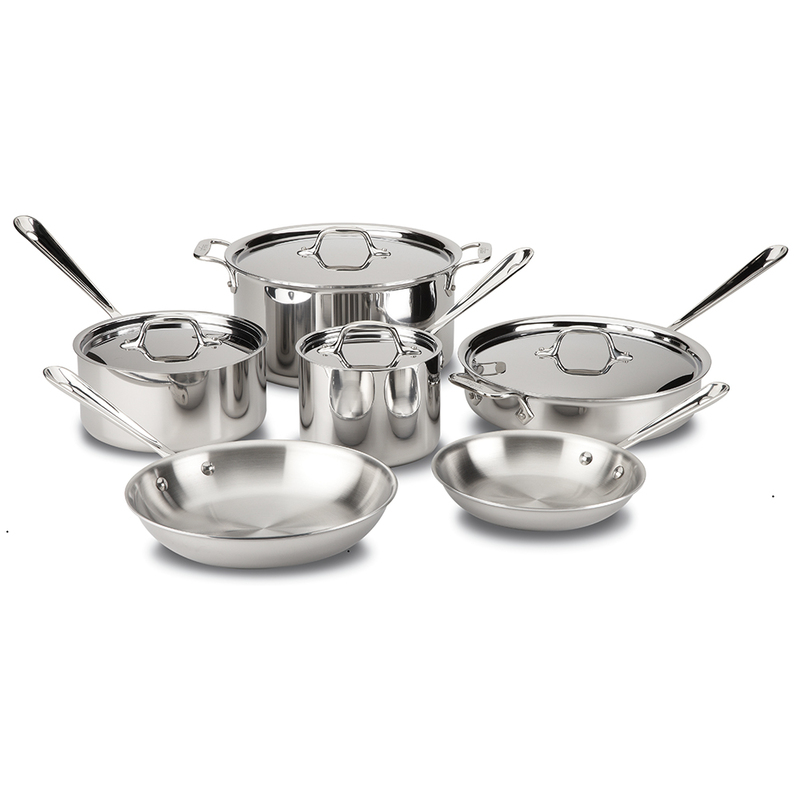 Fill your cupboards with the sheen of 18/10 stainless steel; each piece within this set has been developed with a three-ply bonded construction – of 18/10 stainless steel, a pure aluminium core, and induction stainless steel – that allows heat to be distributed evenly throughout this trio of pans. This professional set is just what the chef ordered, with a six heavy-duty pieces including two frypans, two saucepans, a sauté pan and a stock pot. It’s not just cookware – it’s a love affair. Includes three indispensable pieces of cookware: a saucepan, a sauté pan and a frypan.